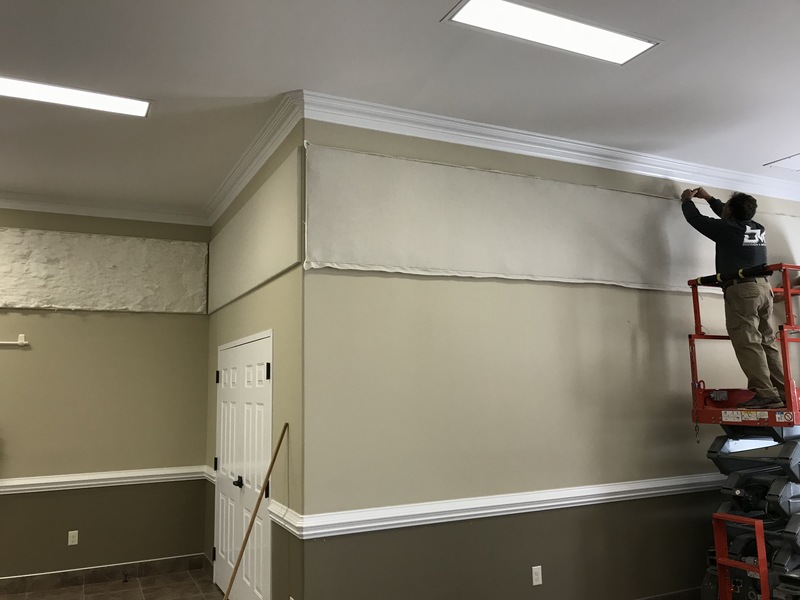 Over 25 Years Experience In AVL! 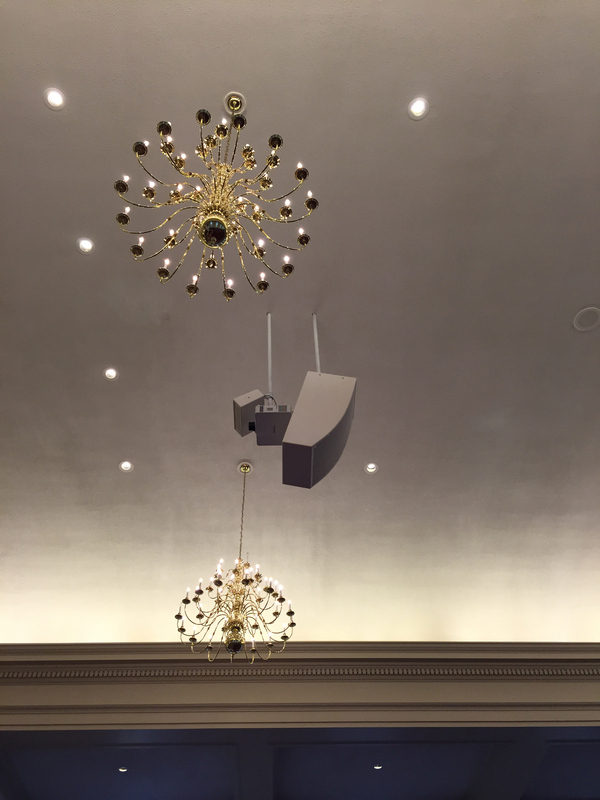 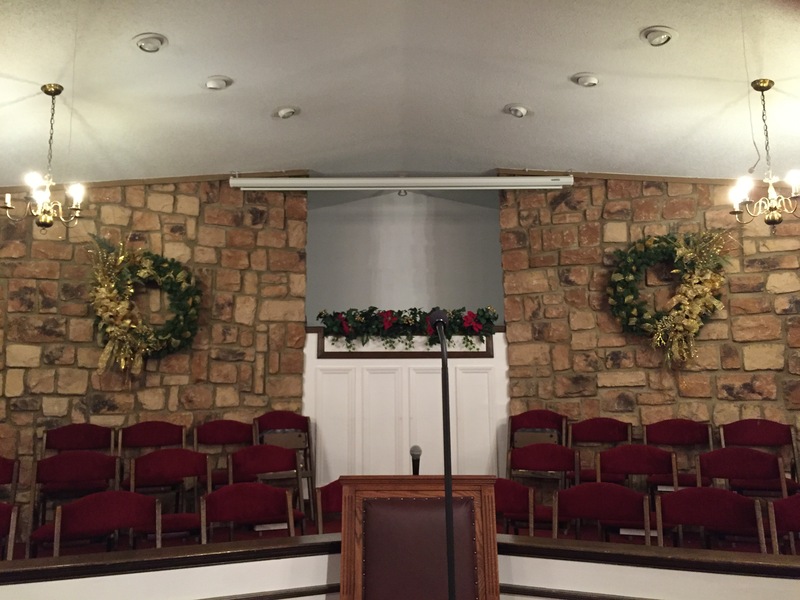 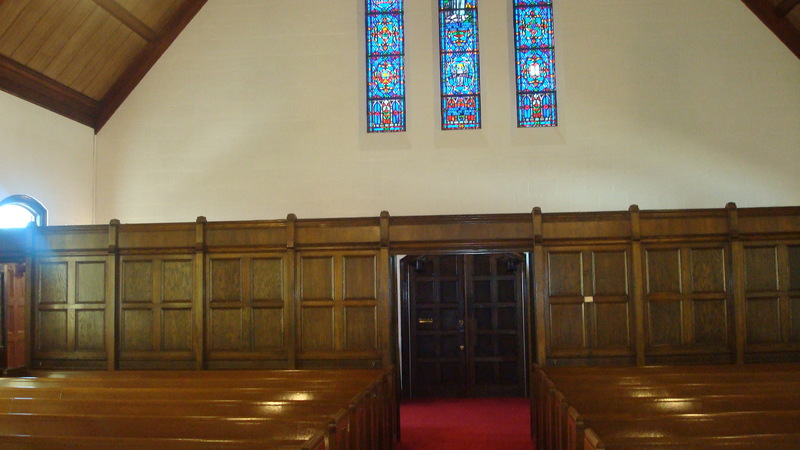 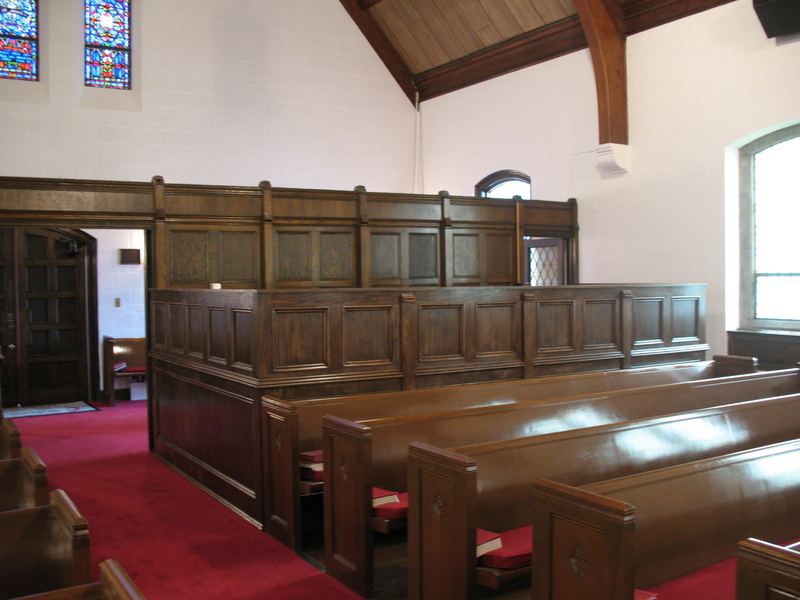 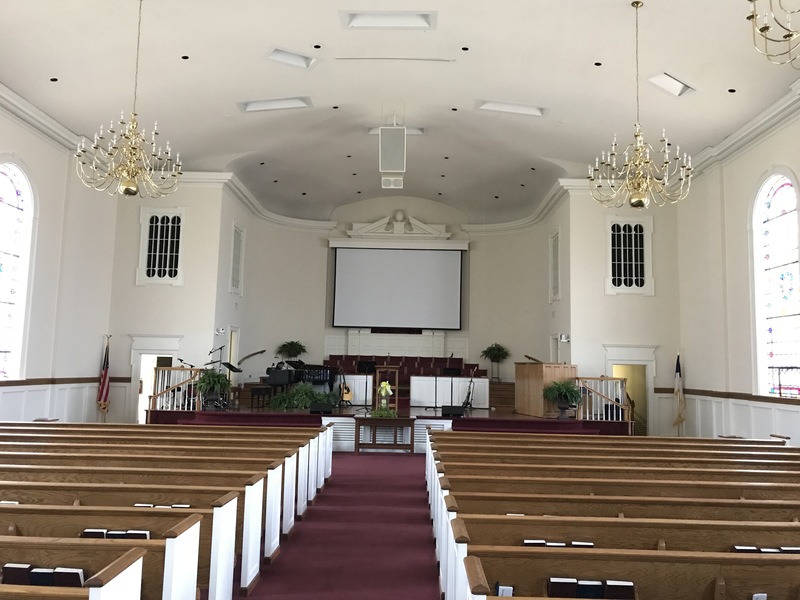 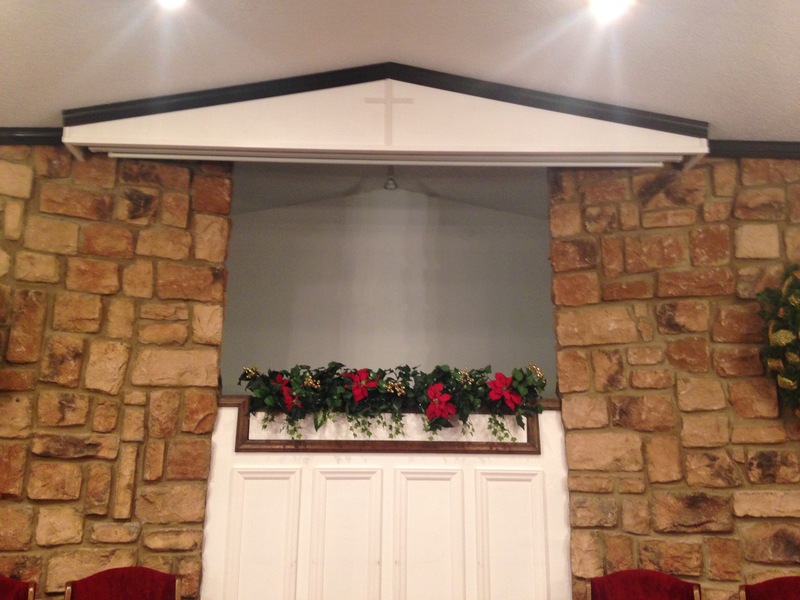 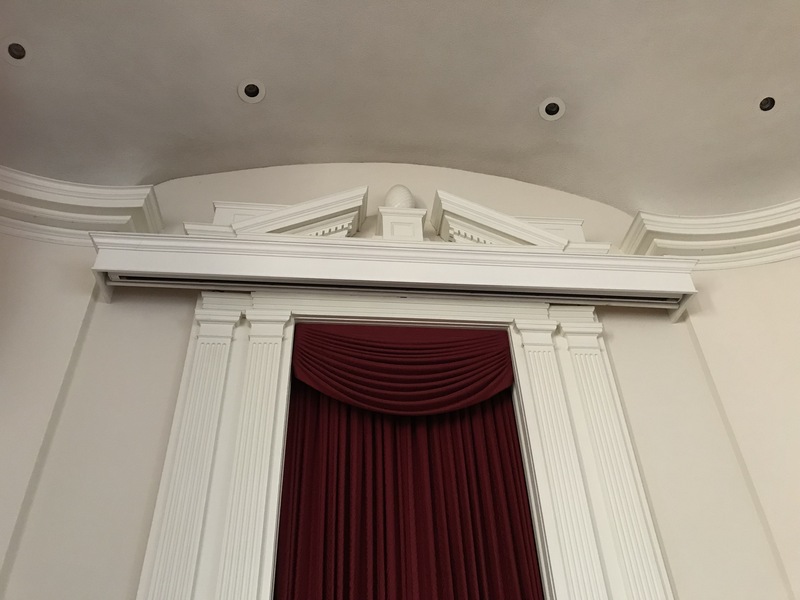 Does your church sanctuary, fellowship hall or gymnasium sound like an echo chamber? 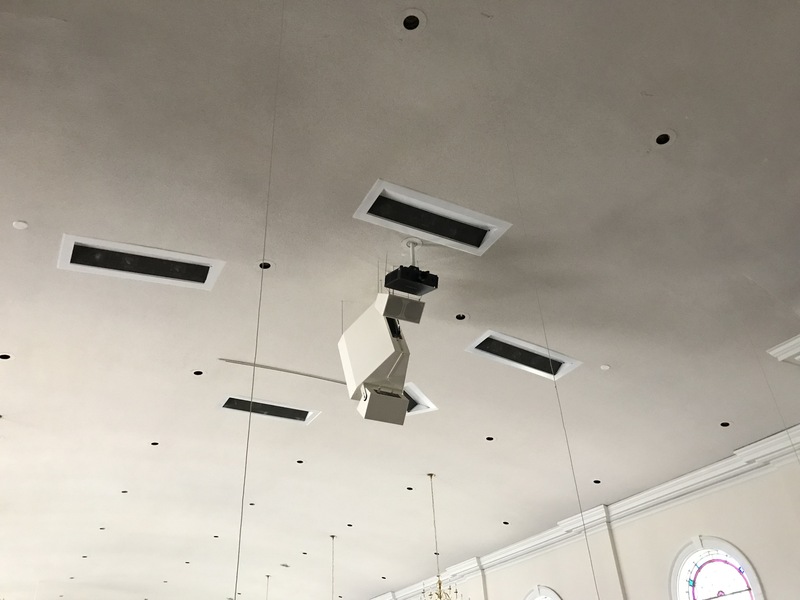 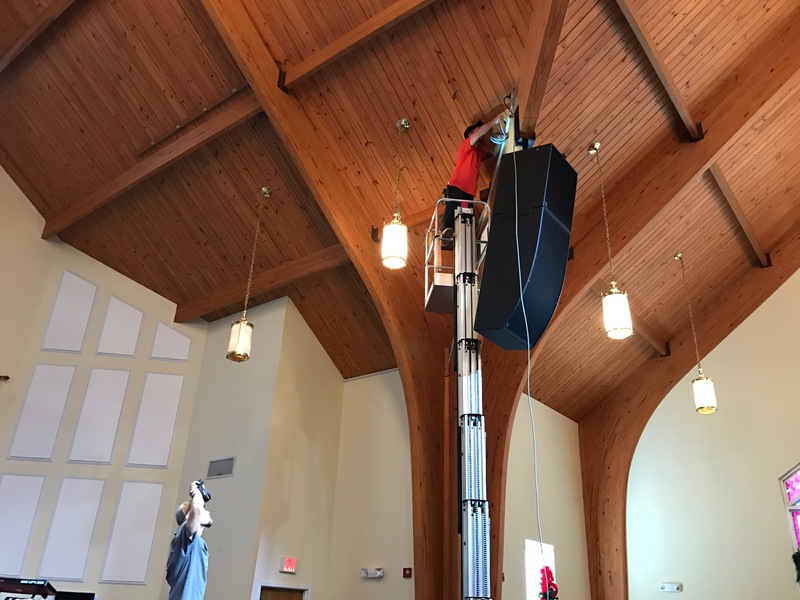 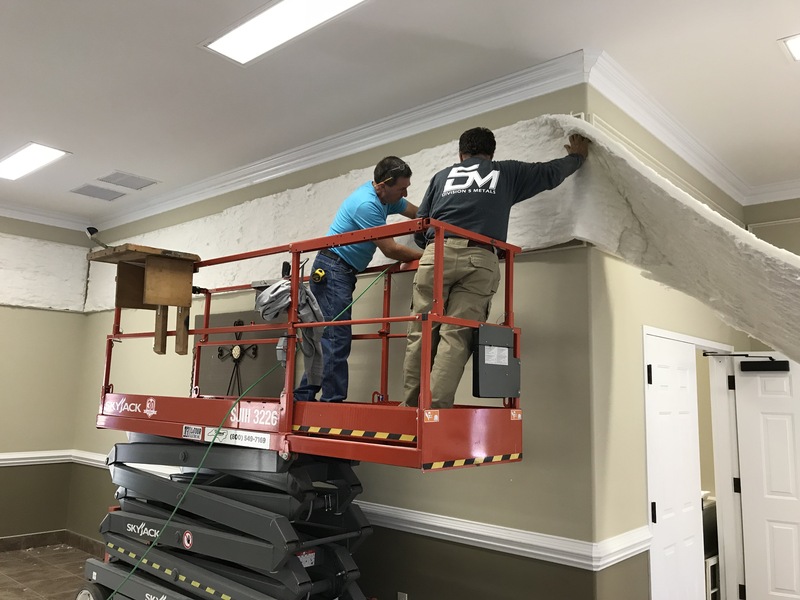 Our custom acoustic fabriccovered wall panel treatments will enhance voice and music intelligibility within any of your building spaces. 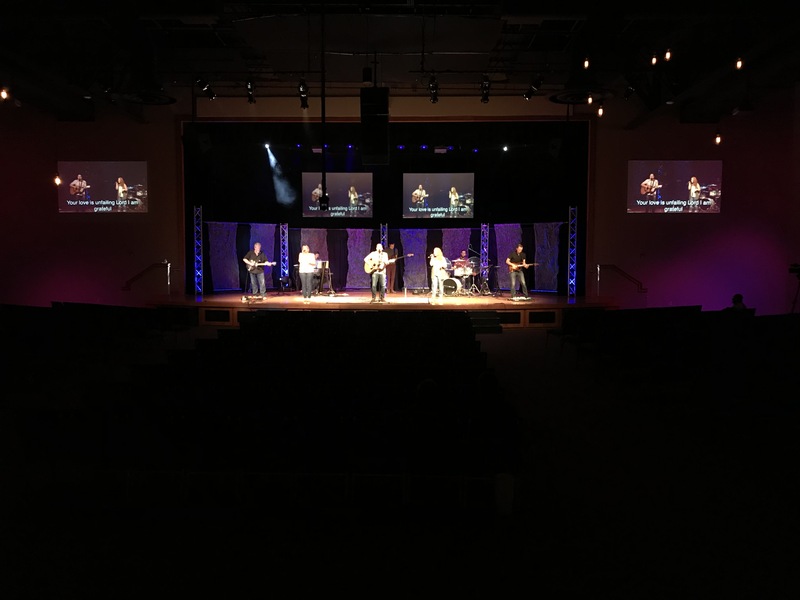 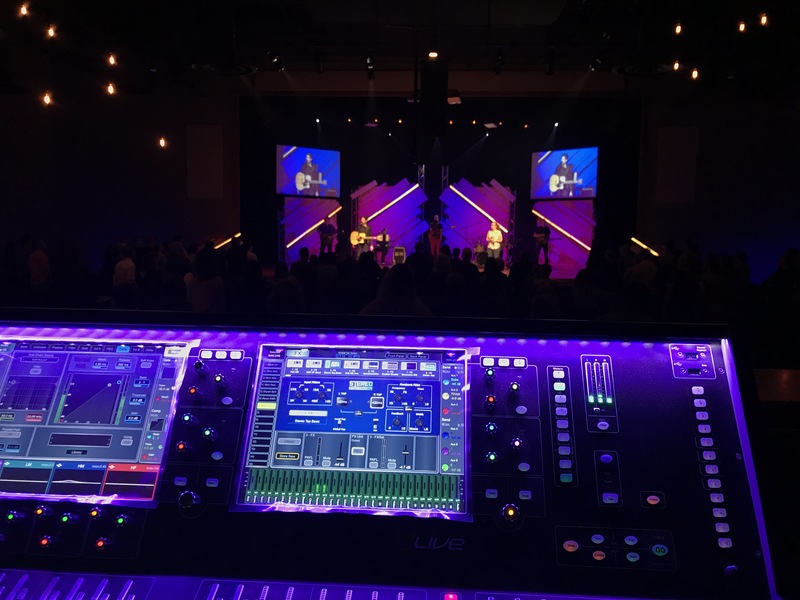 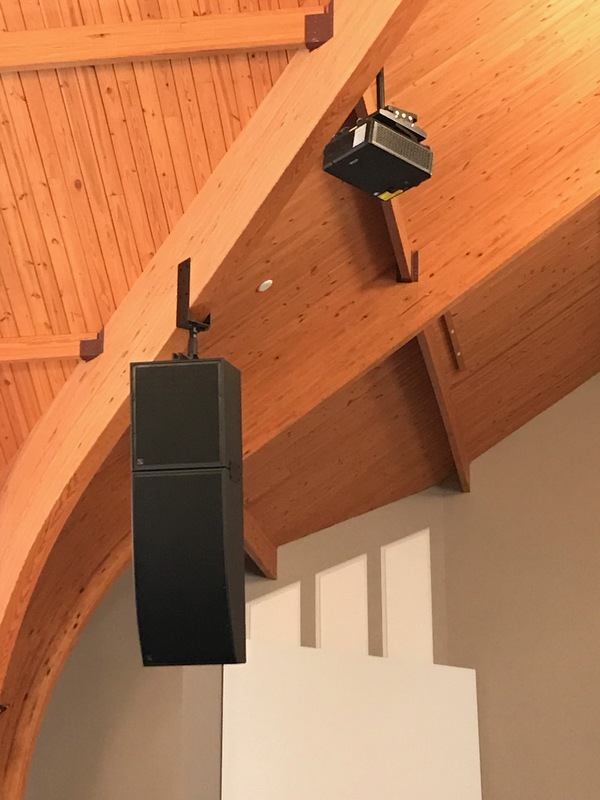 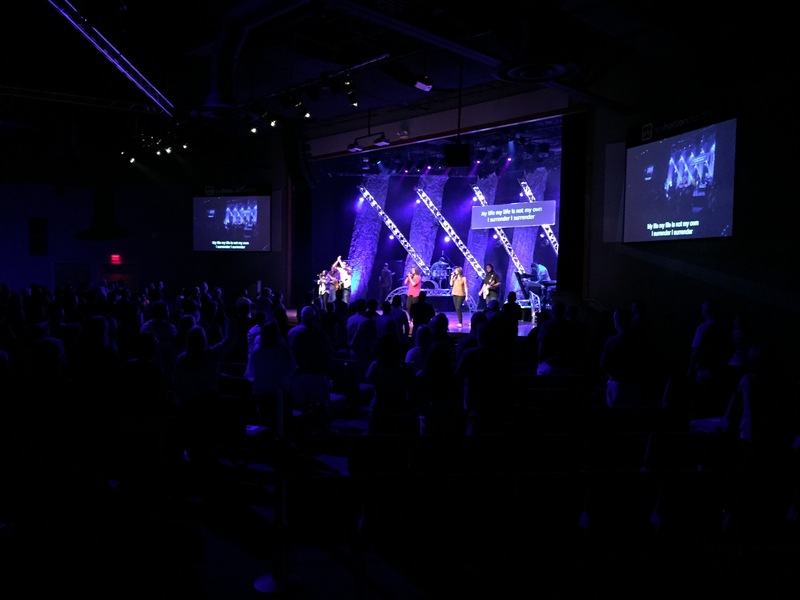 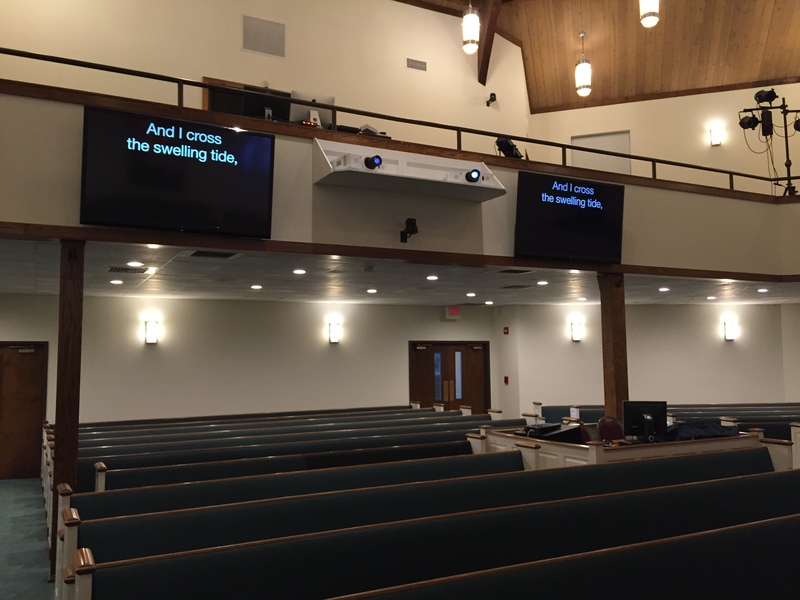 Are you looking for a video system to enhance your worship experience? 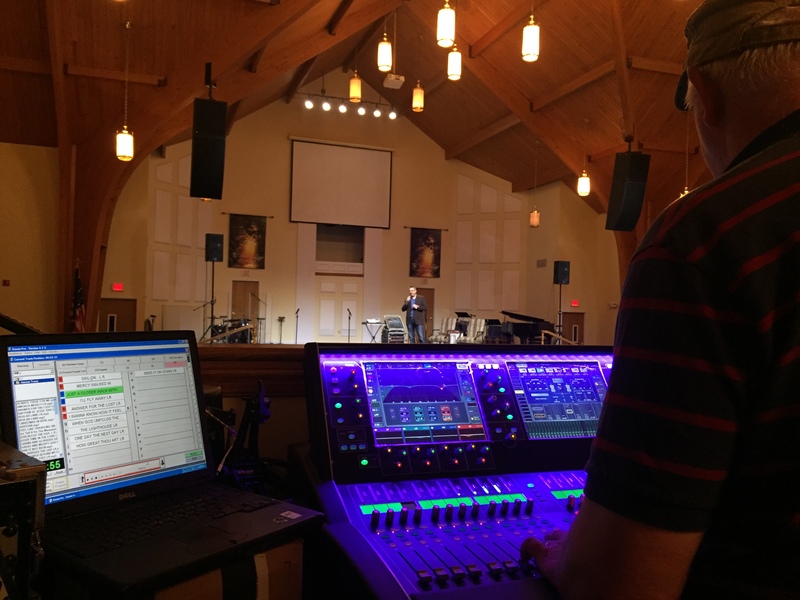 Are you interested in streaming your worship services to the Internet or social media? 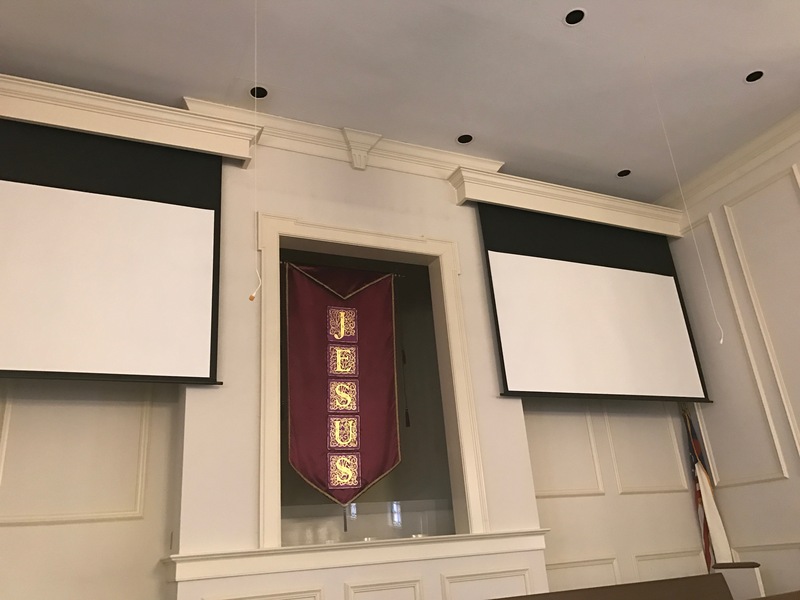 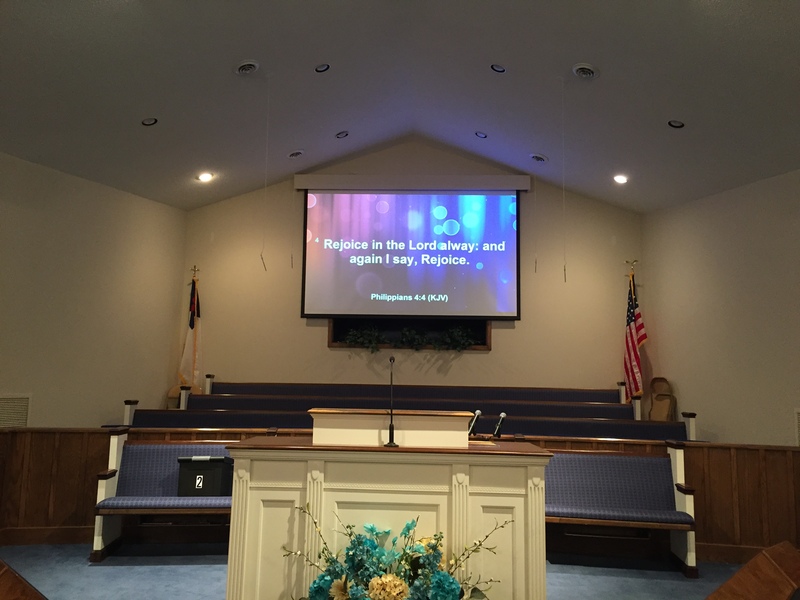 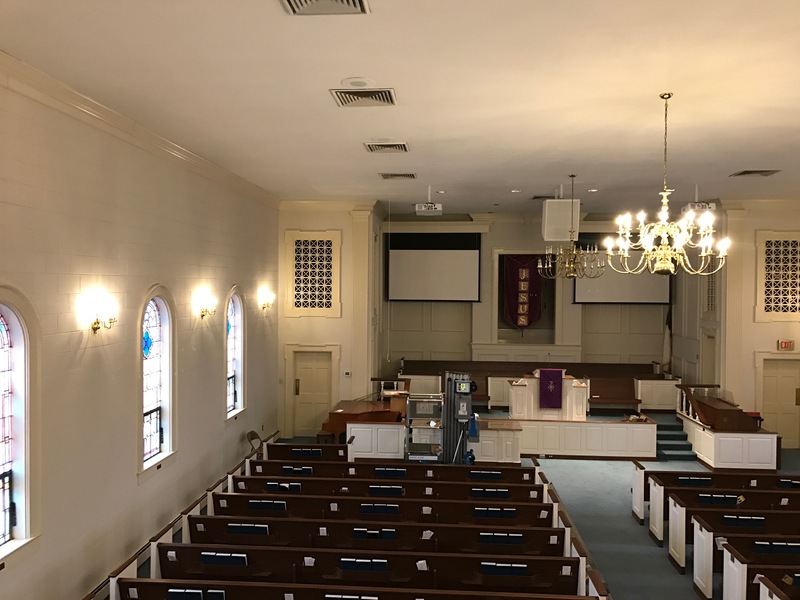 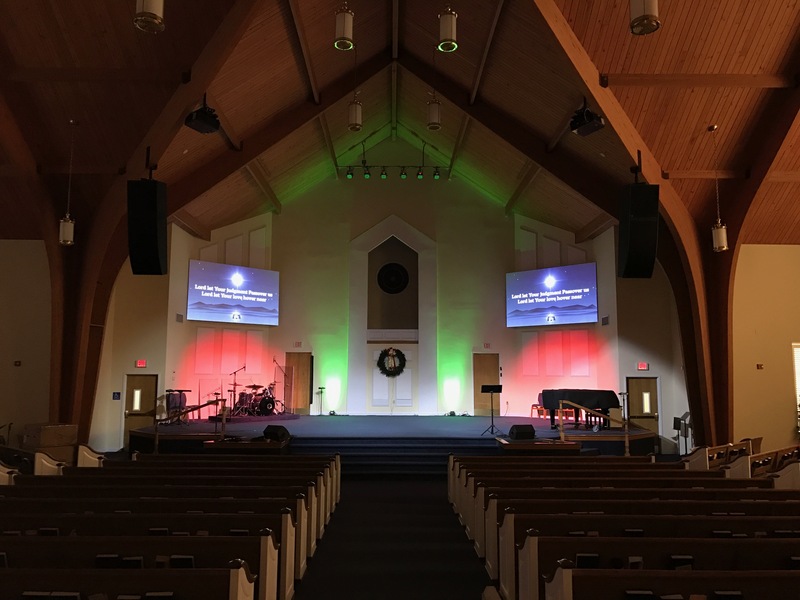 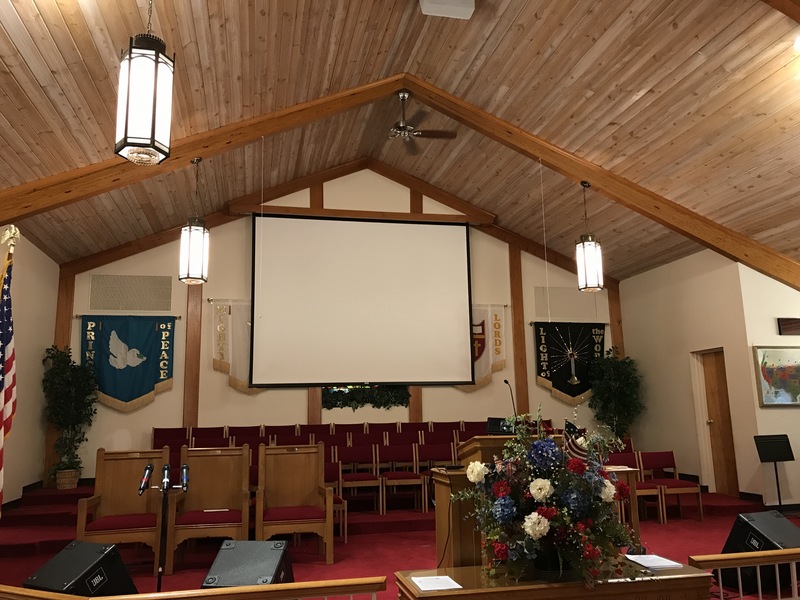 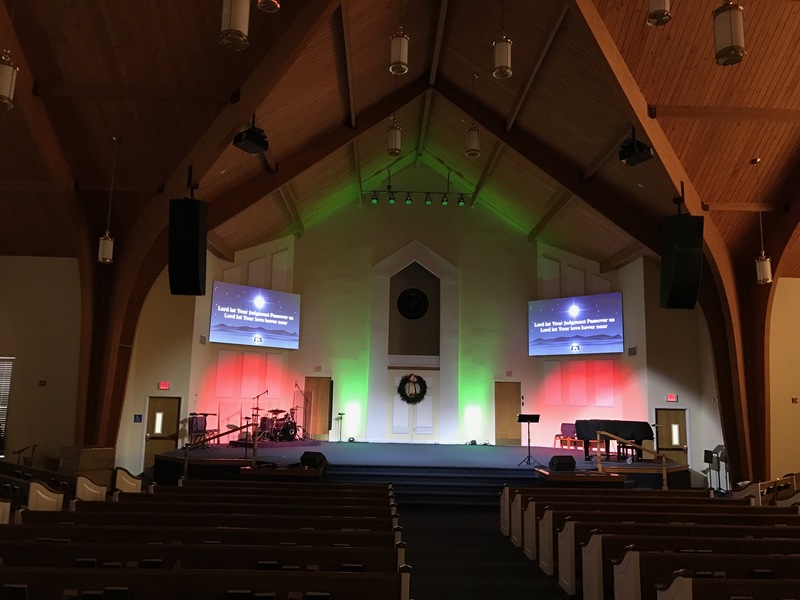 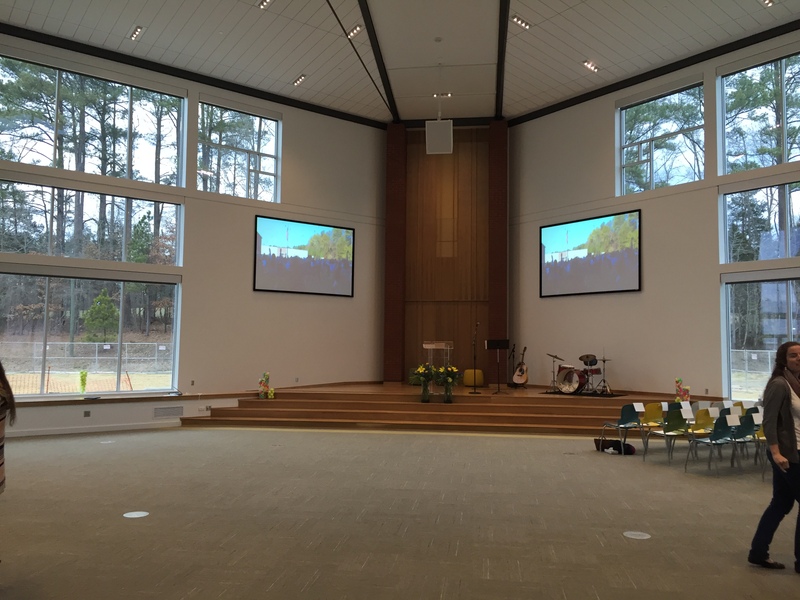 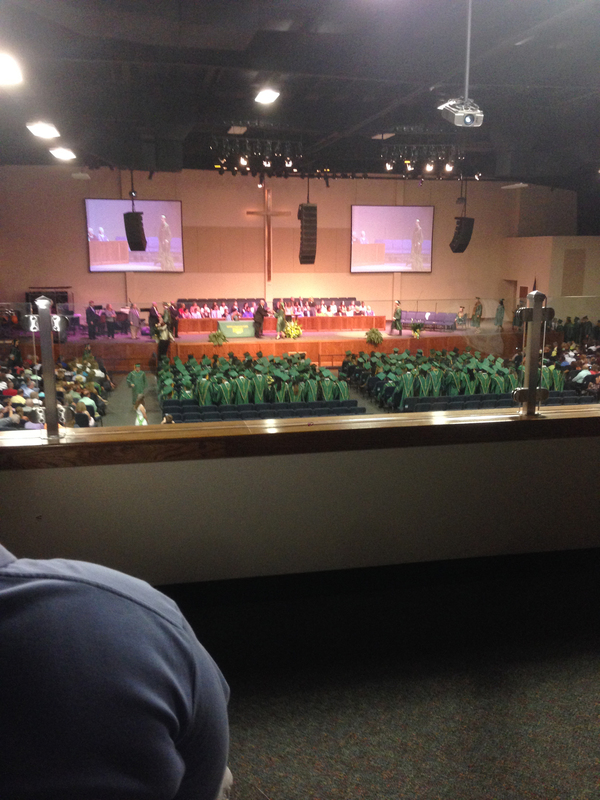 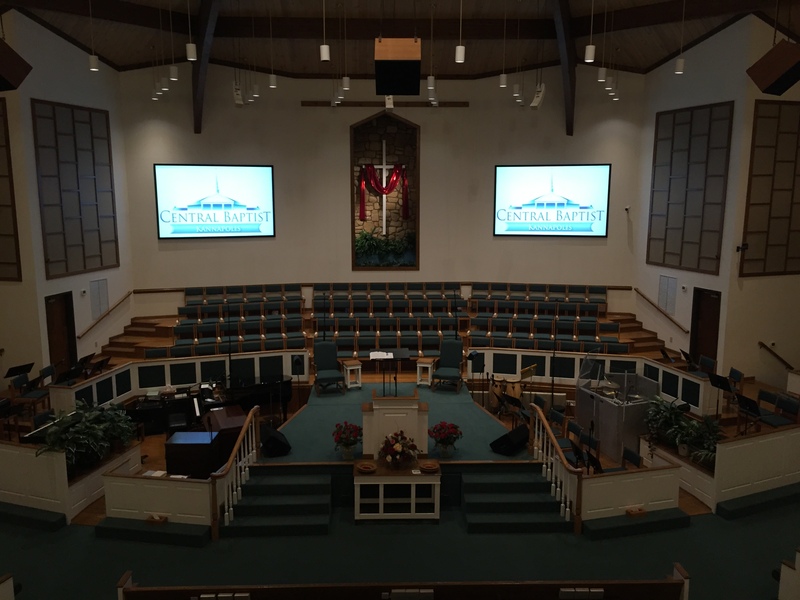 We offer video systems that will deliver crystal clear digital video images both inside your church and online. 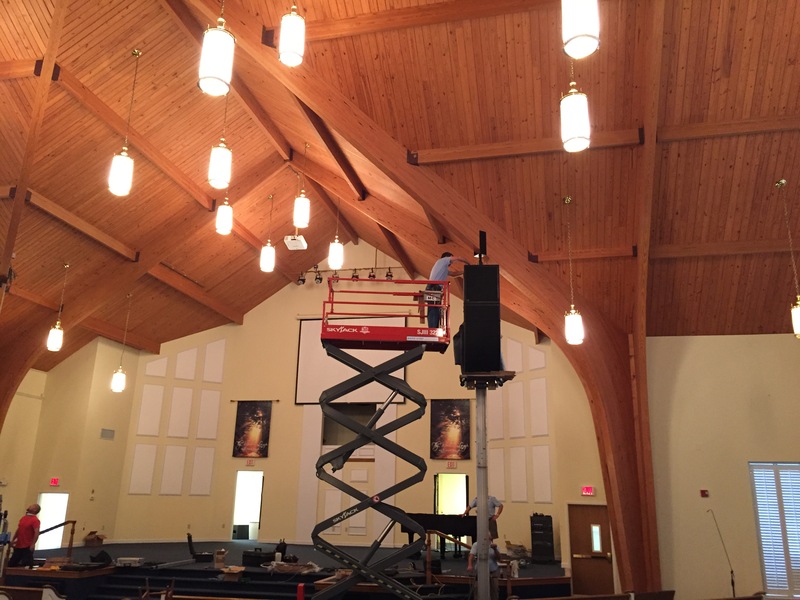 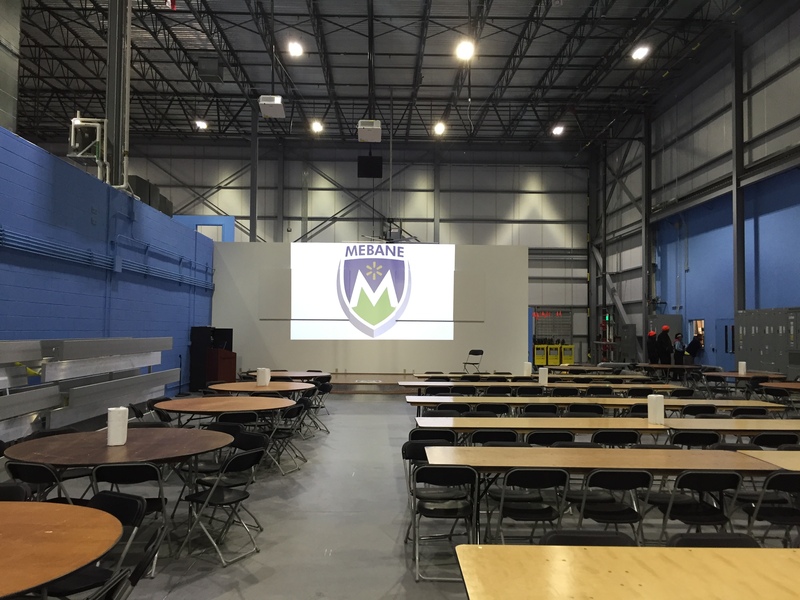 Do you want to add a new lighting system that is digitally controlled using the newest technology available? 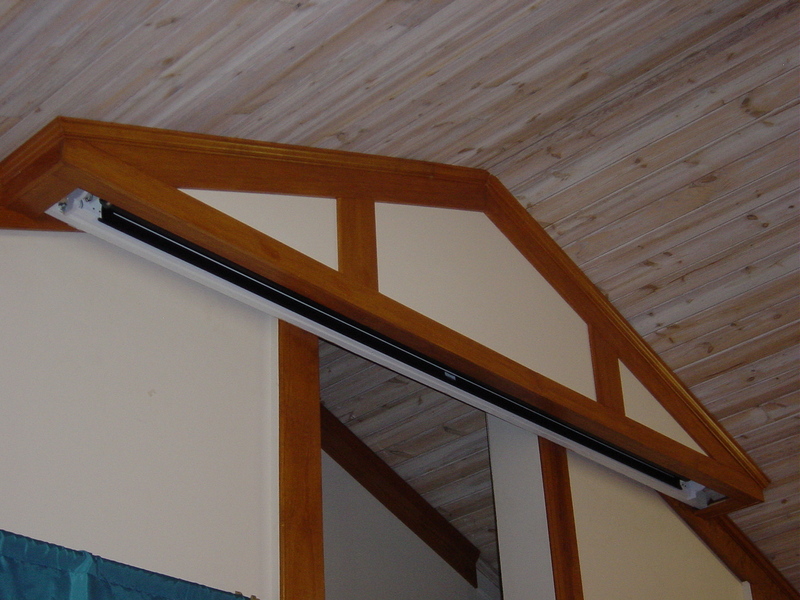 The new style LED type lights are very cost effective, generate less heat, require much less energy, and require very little maintenance. 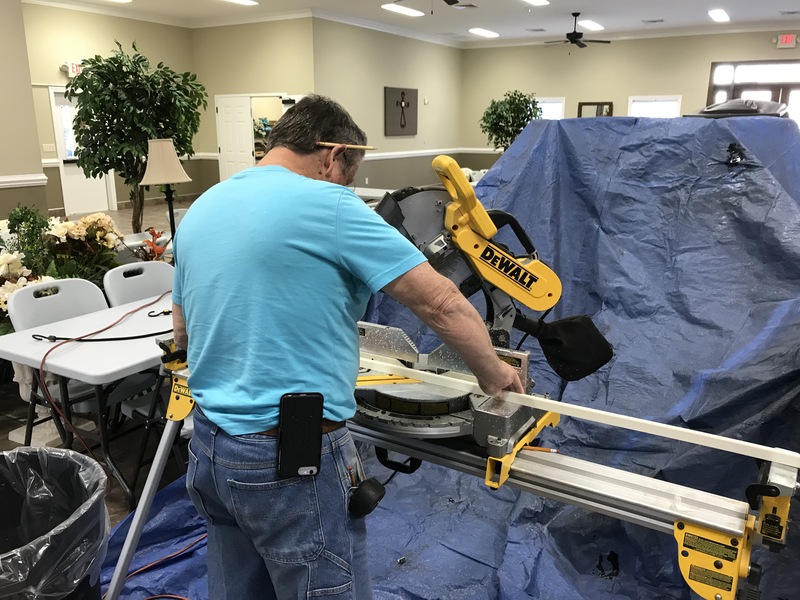 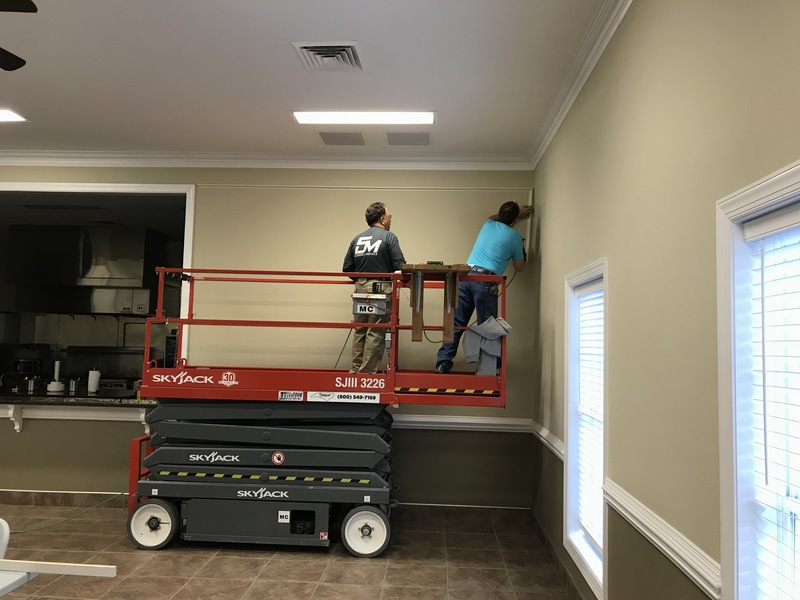 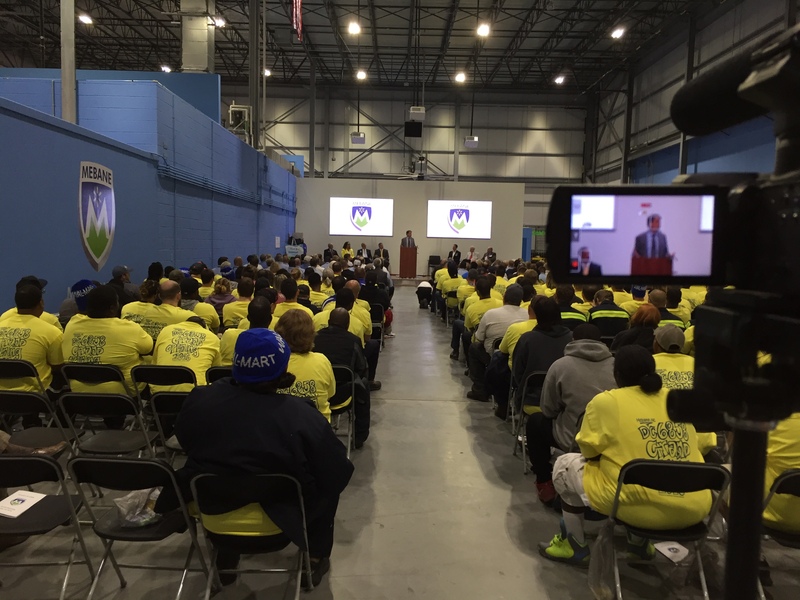 We invite you to take a look at some of our work. 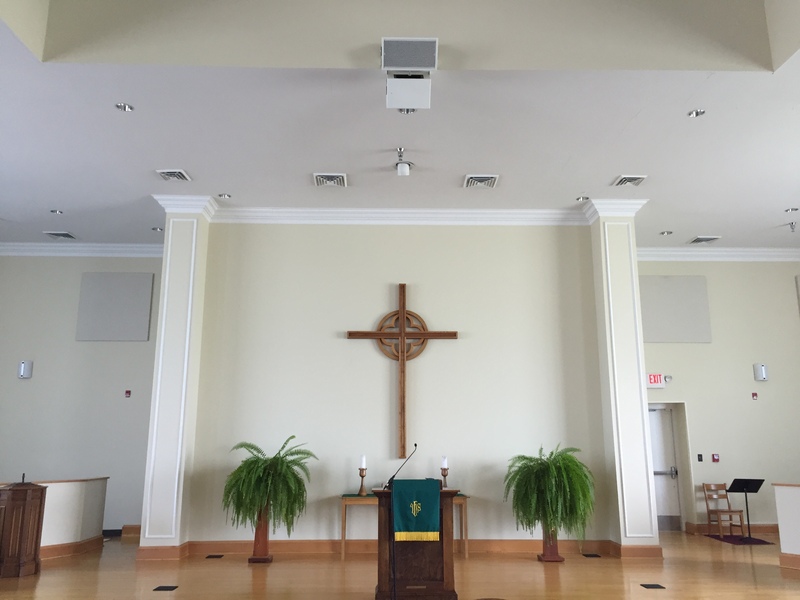 If you like what you see or have any questions please feel free to call or email us. 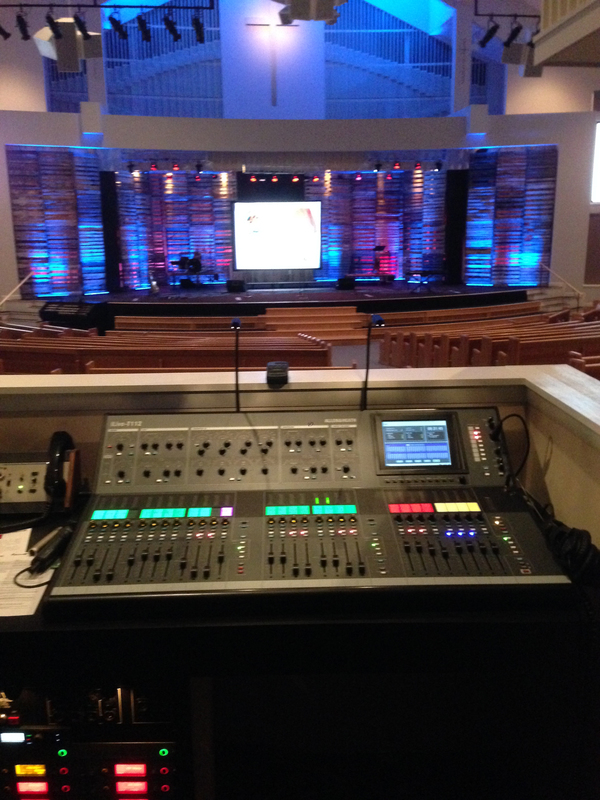 We would love the opportunity to come and see what you have to work with and share some ideas.